We are very pleased to announce that the inaugural International Symposium on Dyes & Pigments – Modern Colorants; The Synthesis and Applications of π-Systems will be held in Seville, Spain, 8-11 September 2019. The exploration of chromogenic and emissive materials embodies an exhilarating and challenging research activity which has the potential to offer significant reward. Modern colorants are involved in diverse applications ranging from traditional polymer and textile coloration for aesthetic purposes through to complex nano-scale switching and absorbing systems for data storage. Scientists have developed dyes, pigments and organometallic complexes to harness sunlight (photovoltaic cells and DSSCs) for electricity generation and conversely, we can electrically stimulate molecules to generate bright light (LED and OLED) and colour (electrochromism). The 2014 Nobel Prize for Physics was awarded for “the invention of efficient blue light-emitting diodes (LEDs)”, which offer the potential to limit the impact of our activities on global climate change; in the same year the Chemistry Nobel Prize was awarded for “the development of super-resolved fluorescence microscopy” which is immensely useful in imaging science, bioscience and medicine since the technique is capable of revealing great detail and which relies upon highly efficient fluorophores. The 2016 chemistry Nobel Prize was awarded for "the design and synthesis of molecular machines", many of which rely upon systems of chromophores to capture light energy to initiate movement. Research continues apace in these areas with the development of full colour gamut organic light emitting diodes (OLEDs) and their phosphorescent relations, PhOLEDs, for low energy lighting and displays. Each of the foregoing prize-winning themes relies upon the performance of emissive (fluorescent, phosphorescent) or traditional chromogenic materials. There has been a remarkable upsurge over the last decade in the development of highly sensitive and selective sensors for biologically significant metal ions and a variety of organic compounds; such sensors invariably incorporate a fluorophore and often in conjunction with a chromophore. However, emissive materials are not just involved in biomedical detection (sensors, microscopy) but are also employed to cure disease. Prontosil, one of the earliest azo dyes (Bayer, 1932), found application as an important antibacterial against Gram-positive cocci. Today we harness the sensitizing ability of complex polycycles, e.g. porphyrins, phthalocyanines and phenothiazines, for the generation of reactive oxygen species which lead to the destruction of tumours and disinfection of blood and wounds using Photodynamic Therapy. Dynamic systems, such as materials which exhibit thermo-, piezo-, mechano-, photo- and electro- chromism, are no longer academic curiosities and feature in commercial products including time / temperature sensors, ophthalmic sunlenses and controllable architectural privacy / anti-glare glazing. New complex challenges employing chromogenic and emissive molecules are only limited by our imagination and await the next generation of scientists. There is a bright and colorful world awaiting us which embraces all branches of science and which will test our art to the full. The impact of coloured materials on society has yet to be fully realized and research on this fascinating theme will continue throughout the 21st century. 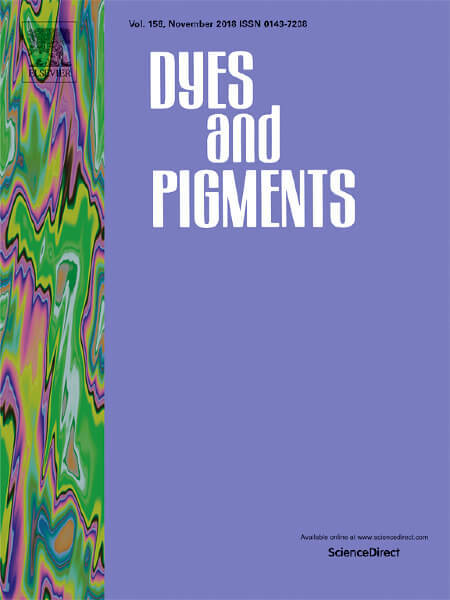 The aim of this International Symposium on Dyes & Pigments – Modern Colorants; The Synthesis and Applications of π-Systems therefore is to bring together researchers from across the scientific, clinical and materials spectrum, to promote communication across the different disciplines and to provide a platform for the presentation of new work in one relaxed meeting focused on color. Contributions are welcomed from scientists, researchers and clinicians working in academia, industry and medicine on all fields in which the principal topic of research predominately features either a chromogenic or emissive unit. Oral and poster presenters will also be invited to submit a full paper to a Special Issue of the journal Dyes & Pigments. Prizes for the best oral presentations and best posters will be awarded.